A relatively recent invention, the bellows-driven, vibrating reed squeezebox known as the accordion was first manufactured in Germany and later Russia in the 1820s. 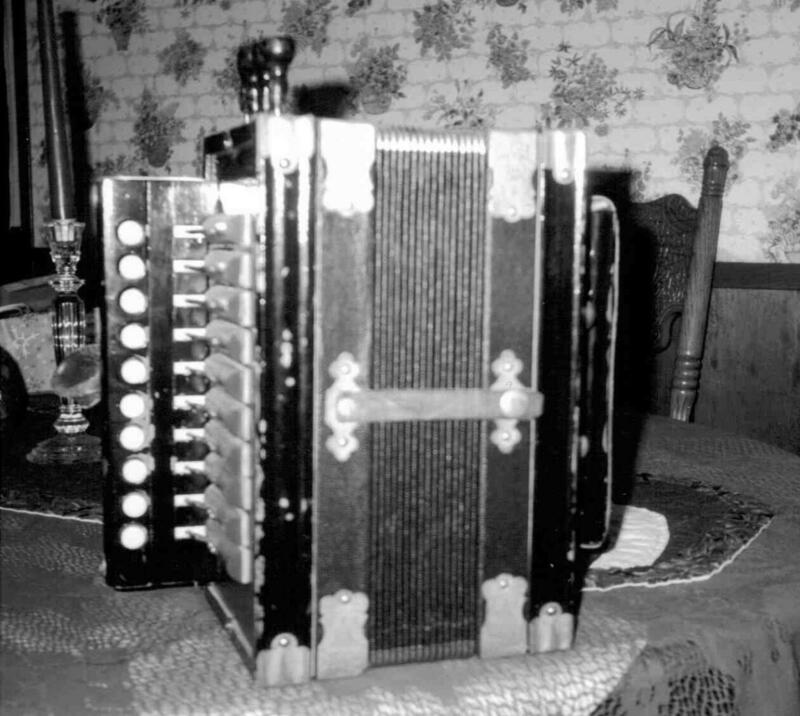 It is unknown who brought the first accordion to South Louisiana, or which French Creole or Acadian first played the instrument, but daguerreotypes from mid-century — decades before Germans immigrants settled Roberts Cove in 1881 — show accordions in use in the south and central portions of the state. Musicologists believe that black Creole musicians were likely the first to incorporate the accordion into their repertoire. Acceptance by white Cajun musicians came decades later, likely because the first imported accordions played in the keys of A and F, making them harmoniously incompatible with the fiddle-led ensembles of the day. By the 1920s, a new generation of accordions tuned to the keys of C and D made the instrument suitable for pairing with stringed instruments. These German-made, single-row, diatonic button squeezeboxes (or piano accordions) — the Monarch, Sterling, Eagle, and Hohner brands were especially popular — were decimated by German Jewish immigrant merchants who set up stores in many Acadiana towns. On April 27, 1928, Joseph Falcon and his future wife, Cléoma Breaux, recorded what are considered the first Cajun music sides for Columbia Records in New Orleans. Those two songs, “Lafayette” and “The Waltz That Carried Me To My Grave,” feature Falcon playing a button accordion beside Breaux’s guitar. One year later, on December 9, 1929, Creole accordionist Amédé Ardoin recorded six songs alongside a Cajun fiddler named Dennis McGee, a rare integrated collaboration for the period. Born in Evangeline Parish, near Basile, Ardoin would become arguably the most influential early Creole accordionist of all time (his friend Adam Fontenot was another popular accordionist from the era). His cousin Alphonse “Bois Sec” Ardoin popularized Creole accordion music, often called La La, in concert performances, recordings, and documentary films over the next half-century. Bois Sec’s Cajun contemporary and counterpart was Nathan Abshire. 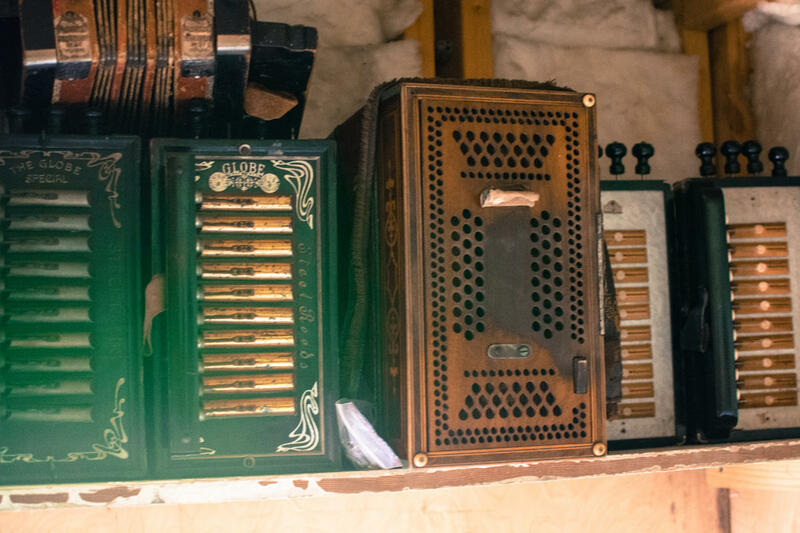 Born in Gueydan, Abshire reintroduced the accordion to Cajun music in the 1940s, after German manufacturers stopped exporting the instrument before and during World War II. 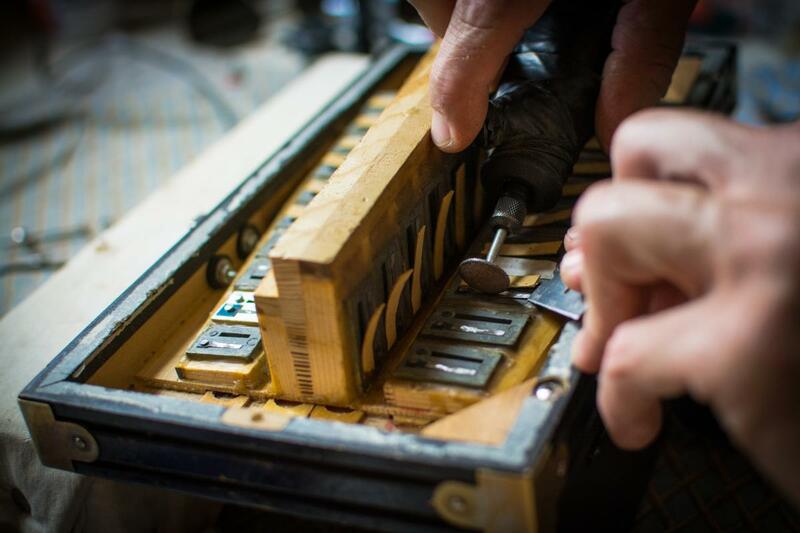 Musicians — including Sidney Brown, Larry Miller, and Marc Savoy — started repairing and crafting accordions of their own design. These producers, alongside Abshire and other early practitioners like Iry LeJeune and Hadley Fontenot, led a Cajun music renaissance that influenced the work of accordionists Jo-El Sonnier, Wayne Toups, Lee Benoit, Andre Michot, among many others. The rise of the fast-tempo syncopations of Zydeco’s chromatic button accordions in the 1950s was largely due to the “King of Zydeco,” Clifton Chenier. An Opelousas native, Chenier’s recording and performing career transformed him into a bonafide roots music superstar in the 1960s. The prairie parishes west of Opelousas remain a hotbed for raising Zydeco accordionists. Today, three of Bois Sec’s grandchildren — Dexter, Sean, and Chris — lead their own accordion-driven Zydeco bands. An honor roll of Zydeco accordionists, past and present, must also include Boozoo Chavis, Buckwheat Zydeco, Beau Jocque, John Delafose, his son Geno Delafose, Chubby Carrier, and Horace Trahan.